I can’t count the number of times I’ve been travelling and seeking out that perfect shot only to be frustrated by imperfect lighting. In photography and videography, lighting is everything. But since we live on the road it’s not practical for me to carry bulky lighting gear. So what could I do? 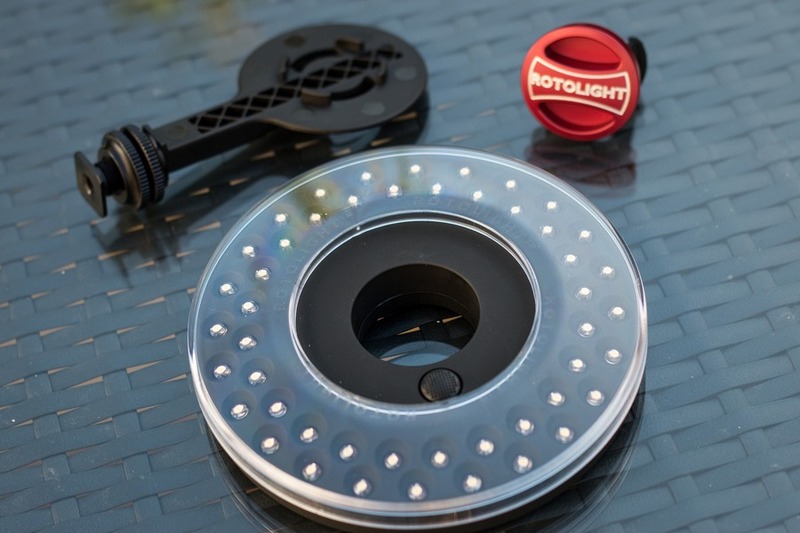 Enter the Rotolight Sound & Light Kit. This compact ring-shaped LED can sit on the camera’s hot shoe or connect to any standard lighting stand. Paired with a broadcast quality condenser shotgun microphone, this dynamic duo transforms a regular digital SLR camera into a serious high quality video production rig. A wide range of professional photographers already use the Rotolight RL48 ringlight everyday in fields such as fashion, commercial, family and wedding. But since I focus on travel photography, I’m looking at this gear from a very specific perspective. Firstly, it’s not a cheap camera accessory, but then again anyone using a decent digital SLR will understand that photography can be a costly passion. If you’re like me and deeply care about the quality of photos and videos you’re producing, then choosing the right piece of equipment initially will avoid regret later. Don’t be intimated though, this kit is well suited for amateur, prosumer and professional photographers alike. 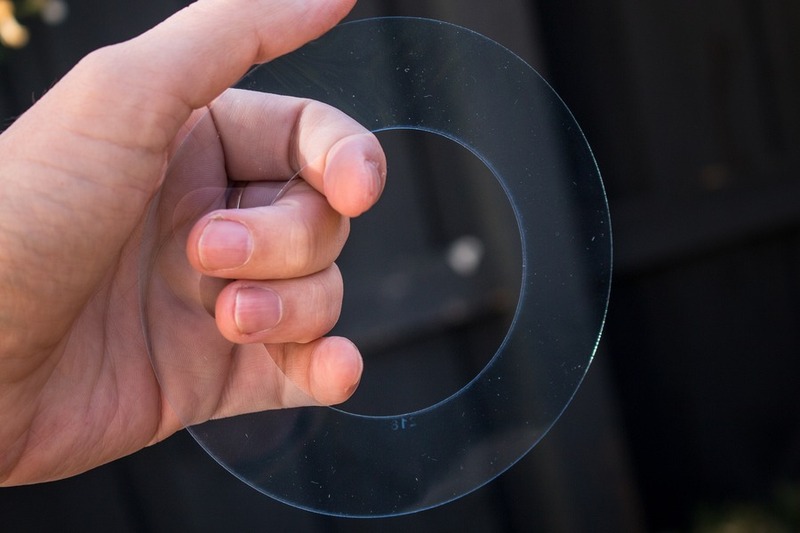 Depending on the ambient lighting, this LED light is best used within 5 metres of the subject. Here’s a before and after shot I took with a single light source to the left side of the subject, and then with the Rotolight RL48 mounted on the camera. You can easily see the huge different the ringlight makes. Shadows are filled in for a softer, uniformly lit subject. I selected a warmer LED filter which helped the camera’s built-in white balance calculate a more natural overall colour temperature. And here’s quick demonstration video below featuring yours truly. These components can be purchased individually but are the best value arranged in this kit. You could also add a 2nd ringlight to the mix as a backlight/sidelight, which would make an effective 2-point lighting configuration. The included calibration chart will help ensure you use the right filter for the right lighting. 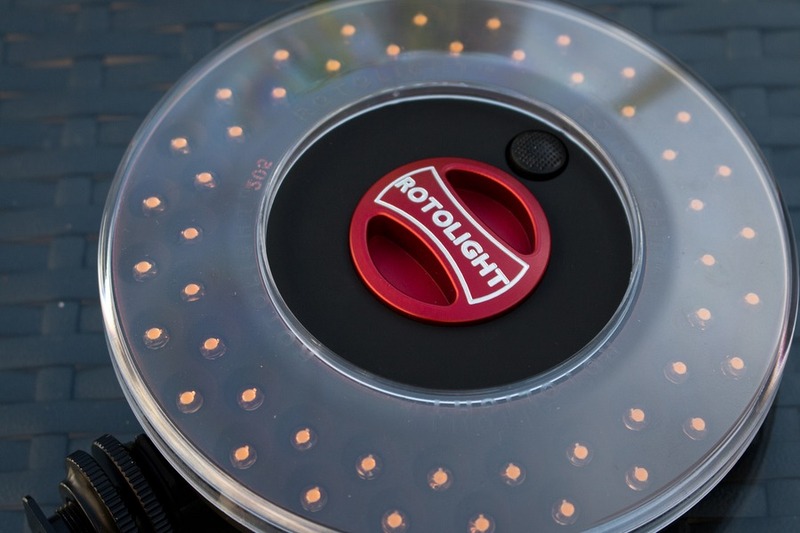 Colour calibrated LEDs in the Rotolight provide exceptionally consistent brightness and temperature accuracy. What does that mean? Colour temperature is expressed in Kelvin (K) and most common lighting conditions range between 2,000 – 8,000K. The human eye can detect a colour difference of 100 Kelvin. 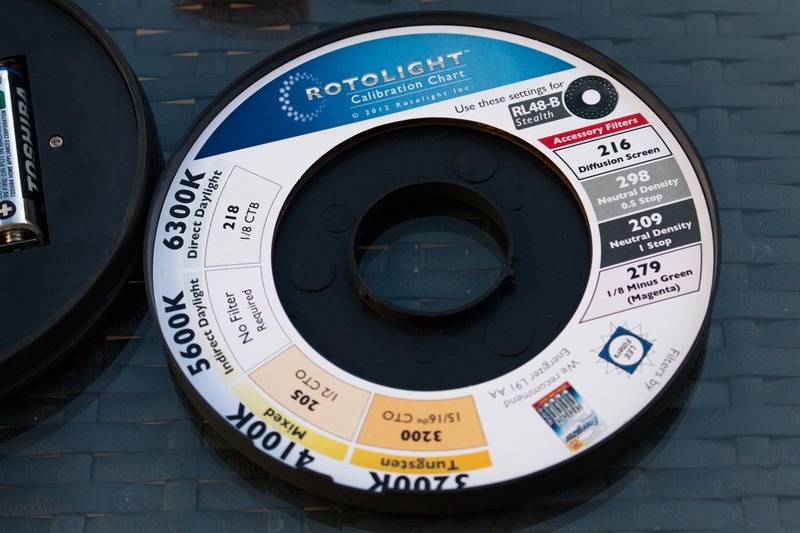 But this Rotolight is accurate within a 50 Kelvin range of its calibrated colour temperature. So what you see is what you get… literally. Although this list could be very long, I’ll stick to the main points. - The kit includes everything you need to get up and running (except batteries). 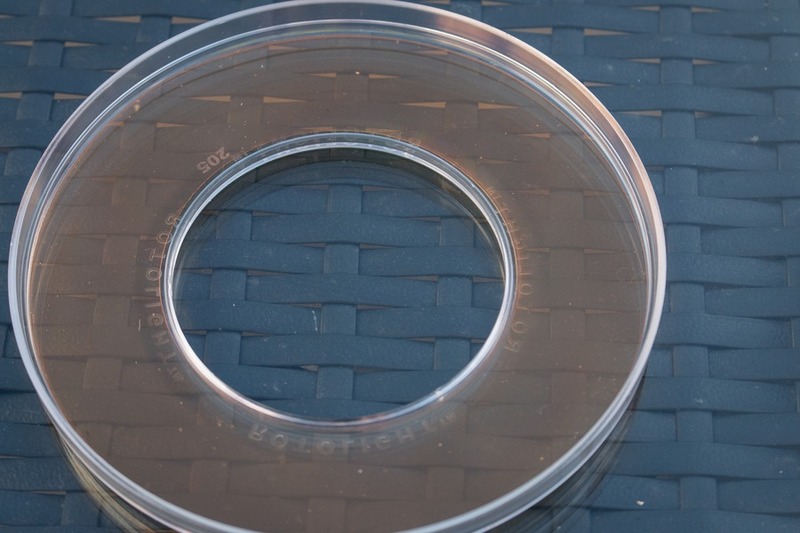 - Ring-shaped light provides even facial lighting and a pleasant circular catch light, compared to rectangular LED lights. - Multiple included filters cover the majority of common lighting situations for spot-on colour correction (as well as neutral density and diffusion). - Easy storage access for filters within the light unit. 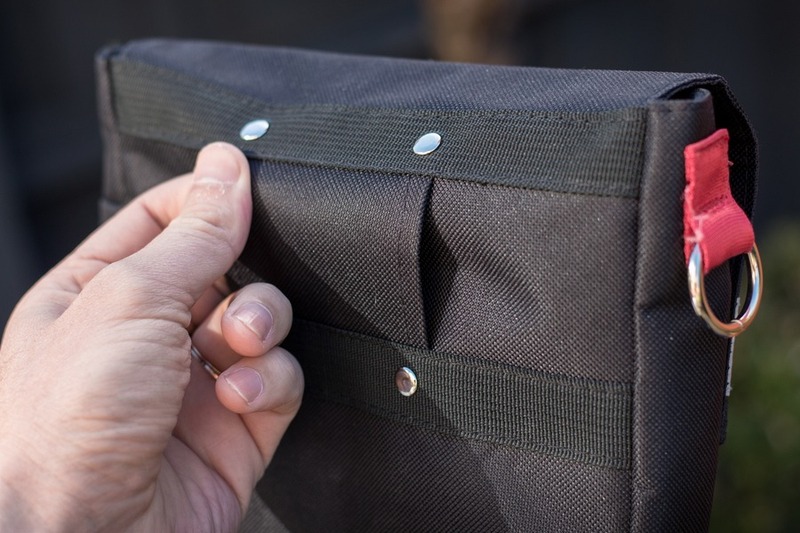 - Accessory pouch features very sensible pockets including 6 individual battery-sized compartments. - Noise reducing suspension system on microphone absorbs impacts from camera movement and mechanical vibration. 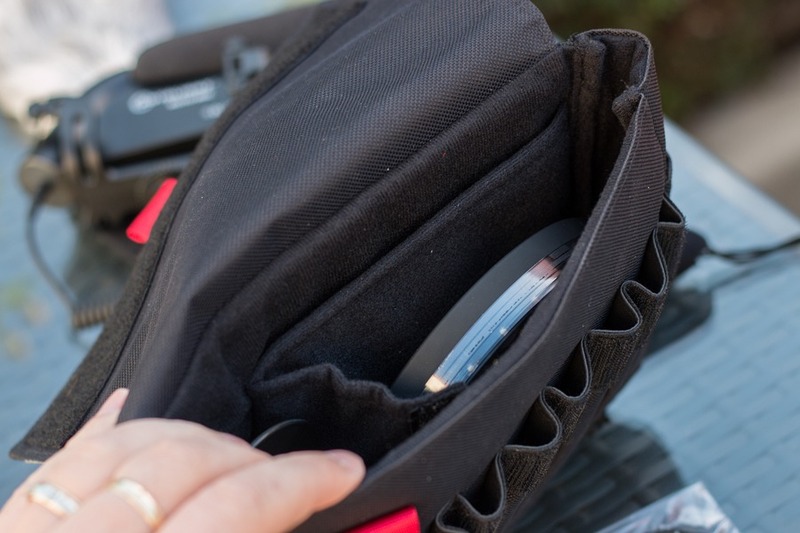 - Most importantly, the kit is very light and compact which is perfect for travel. This kit takes very few wrong steps, and it does require some minuscule attention to detail to identify it’s flaws. - The battery configuration can be a feature or drawback depending on your preference. I generally prefer built-in rechargeable batteries in consumer electronics because it’s one less thing to pack for the road. But ordinary rechargeable batteries tend to produce a less consistent and less powerful flow of electricity, which is detrimental for a highly accurate lighting rig like this. In the unlikely situation when you’re out on a shoot and your batteries run flat, it will be much easier to find replacements from a nearby shop compared to a built-in rechargeable battery. - The microphone uses a 9 volt battery which tends to be more expensive than AAs. However, due to the higher voltage it will last longer (up to 100 hours) so there's less downtime when it matters most. Again, a pro or con depending on your personal preference. - A minor annoyance I found to be was the balance of the microphone with the ringlight attached. The weight of the ringlight tended to pull the microphone down marginally, affecting the direction ever so slightly. Obviously without the light attached, the mic aims perfectly straight. Not a deal breaker by any stretch of the imagination. I've found out afterwards that by using the extra rubber bands included with the mic, the weight can be balanced up. So hopefully that tip helps you. - While this won’t apply to everyone, my photography workflow involves switching between shooting stills and video fairly frequently. The only substantial drawback to the design of this microphone (as well as most shotgun microphones) is that it gets in the way of the optical viewfinder when I switch back to still photography (either that or my head is too big!). 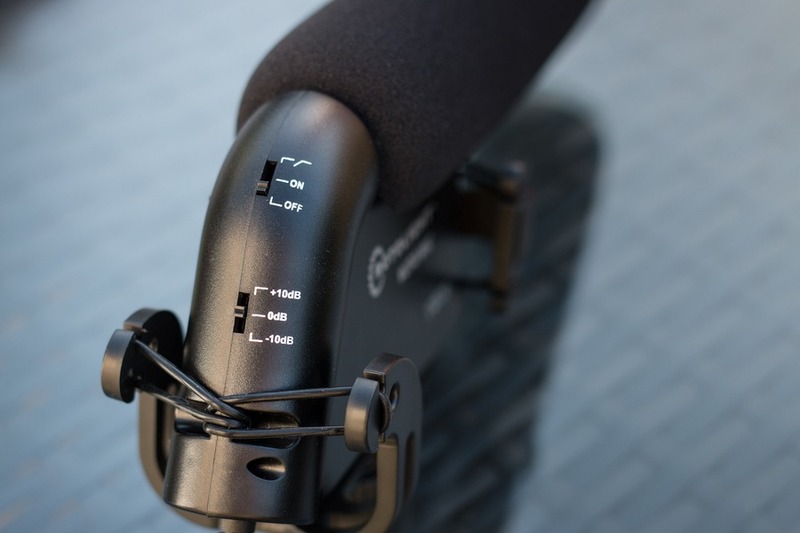 Naturally, the microphone can be removed in about 4 seconds, negating the issue, but attaching and detaching the mic frequently does reduce productivity. This issue doesn’t occur when the light alone is attached. The shotgun microphone is of most benefit when capturing dialog which I find requires at least a few seconds of planning and foresight (such as “hey you, stand over there!”) - sufficient time to add or remove it. These drawbacks are very insignificant compared to the substantial benefit of this kit. And your personal workflow may differ substantially from mine (only still photography or only videography), negating some of my points above. 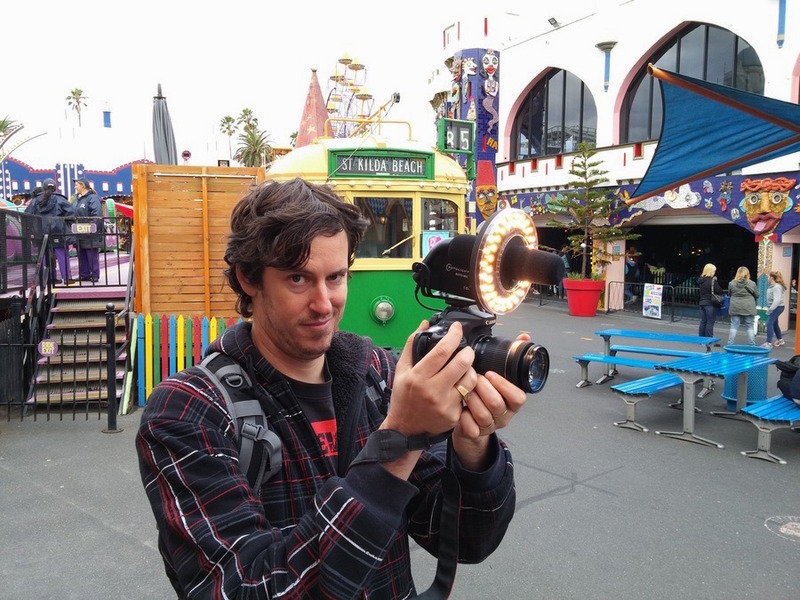 I recently took the Rotolight Sound & Light Kit out to Melbourne's Luna Park on a cloudy day to see how it would hold up. Considering the cloud cover created a bright, yet soft diffused lighting, the full benefit of the ringlight was noticeable outdoors when the subject was positioned within 2 metres of the camera. In darker, undercover areas it really shone (sorry, I couldn't help the pun!). The results were night and day (whoops, I did it again). 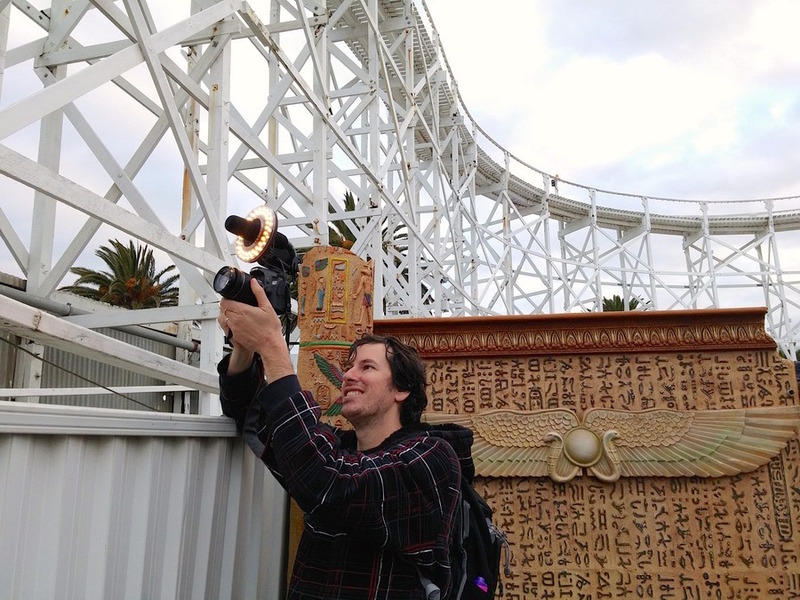 Here's an unedited screengrab from a video I shot inside the world famous Scenic Railway - the world's oldest continuously operating roller coaster. You can see the subject in the foreground was perfectly lit without losing the background. Considering there was natural backlighting in the mix, the scene turned out quite balanced. In addition, the ringlight created a pleasant catch light, drawing the viewer's attention to the subject's eyes. The Roto-Mic also performed very well in the noisy environment. I was able to reduce distracting background noise which made the subject's dialog much easier to hear. If I used the camera's built-in microphone, the results would have been sub-par. All in all, the kit really pulled it's weight and raised the bar of quality, and I was very pleased with the results. 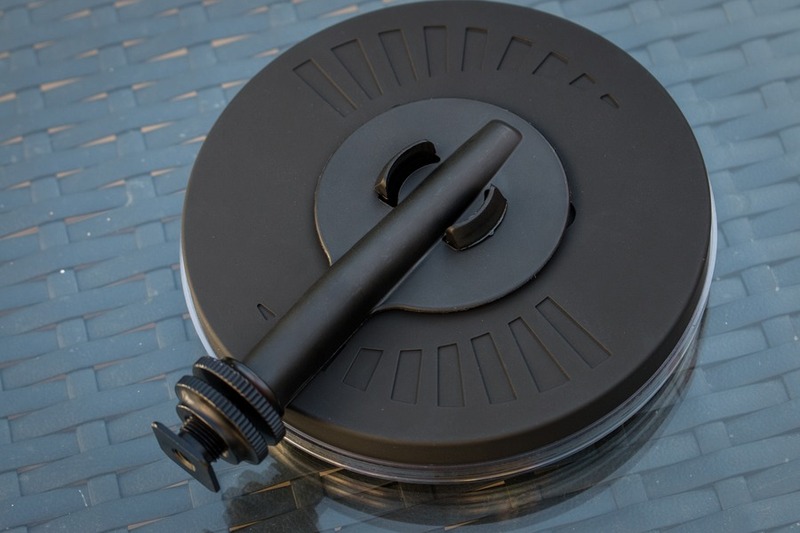 If you’re thinking about taking your photography and videography to the next level, then the Rotolight Sound & Light Kit will be the best money you’ve spent on your camera in a long time. It’s so simple to use, compact, light and versatile, I know it won’t take long before I wonder how I ever lived without it. This is a very comprehensive coverage and one that will give us some food for thought. This sounds like a great bit of kit for the money. Annoyingly my DSLR doesn't take video but I'm seriously thinking of getting another (as a spare body) that will and if I do I'd love to get this as well. I've only occasionally publish videos, partly because the quality is so bad, especially with the sound. Think this would make the world of difference. I was expecting more too, especially given the price of them separate anyways. Would you travel with it all the time though?